Kureha PGA, a subsidiary of Japan-based Kureha Corp. Image showing the chemical structural diagram of the polyglycolic acid. 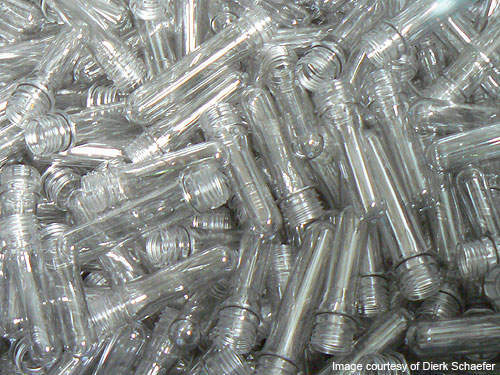 The polyglycolide is expected to reduce the weight of the PET bottles by about 20%. Kureha Corporation is building a new polyglycolic acid (PGA) chemical plant at Belle in Kanawha Valley, West Virginia, US. It is located at a DuPont site in Belle near the Kanawha River. The plant is owned by Kureha PGA, a subsidiary of Japan-based Kureha Corp. Also known as polyglycolide, PGA resin is a biodegradable, thermoplastic polymer used to produce speciality plastics. The plant is expected to come online and start production in November 2010. It will have a production capacity of 4,000mt (8.8m lb) of PGA annually. The estimated investment of Kureha in the PGA project is $100m. The semi-works facility currently employs 50 people – including 21 Japanese expatriates and 29 US employees. After the start-up, the plant will provide employment for 56 personnel, with an estimated annual payroll of $1m. Plans also include future expansions of the plant. Kureha announced its plans to establish the PGA plant in West Virginia in December 2007. The modern plant, being built at the DuPont Belle site, will have the availability of sufficient raw materials. The brown field site was chosen due to its readily available infrastructure such as the necessary utilities, fire protection, security and other emergency response sources. The site has space for expansion to double the PGA production capacity of the plant. The West Virginia state also has experienced manpower and chemical industry expertise. Kureha is the 20th Japanese company to establish a plant in West Virginia. About 90% of the plant’s requirements are expected to be procured locally by injecting $14m into the state every year. Kureha will also collaborate with local companies for transportation and warehousing requirements. The company aims to construct and operate PGA plants with an overall capacity of 50,000mt around the world. Groundbreaking of the Kureha PGA plant was held in April 2008. Construction was started in January 2009. The plant was almost 95% complete by August 2010. The project required about 300 people during its construction peak. The building is currently installed with all the equipment while work is in progress on the piping and electrical work. The feedstock for the PGA plant will be supplied from the adjacent DuPont plant producing glycolic acid. DuPont opened the Belle plant in 1925 for commercialising more than 120 processes from the Belle facility. The biodegradable thermoplastic polyester is produced from glycolic acid, a natural organic acid. The PGA resin will provide higher barrier capacity against oxygen and carbon dioxide for multi-layer PET bottles. It is about 100 times more impermeable to gas and humidity than PET. It also has controllable biodegradability and is certified as a biodegradable plastic in Japan, Europe and the US. The large-scale production technology for PGA was unavailable due to lack of economical high-volume manufacturing process technology. 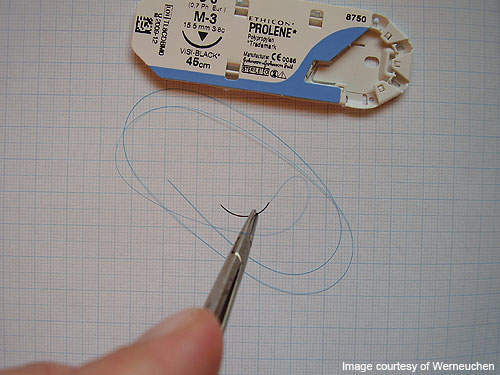 The PGA is in use in high-value products such as absorbable medical sutures. Kureha has been operating a 100mt/y pilot plant for PGA in Iwaki, Japan since 2002. The company has spent about 17 years developing a production technology to manufacture PGA on commercial-scale. About 30 key patents are owned for the technology by Kureha PGA. 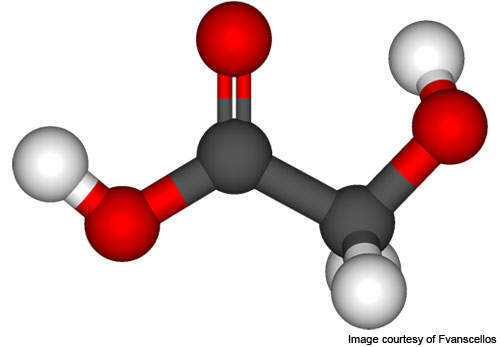 The esterification process of glycolic acid results in its polymerisation. The reaction also results in the generation of unwanted by-product, water. The water molecules tend to break the ester bonds by hydrolyses reaction. The Kureha process technology involves creating glycolide rings to form a polymer compound. The reaction is achieved by maintaining the right solvent at the right concentration. The hydrolysis reaction is also avoided by incorporating the proprietary additives and comonomers. The polyglycolide from the Kureha plant will be marketed under the brand name Kuredux PGA. The gas-barrier properties of the product will enable its usage as coating material for PET bottles. The high-strength of the polyester resin is expected to decrease the PET bottle weight by about 20%. The product could also be used for other food and beverage packaging markets and other industrial applications due to its light weight. Kureha expects the PGA market to have initial sales of about $100m per year and gradually grow into a $1bn business.